Controllers that are used together with multi-control valves or general control valves. Multi-purpose controller with MC-COS control feature. 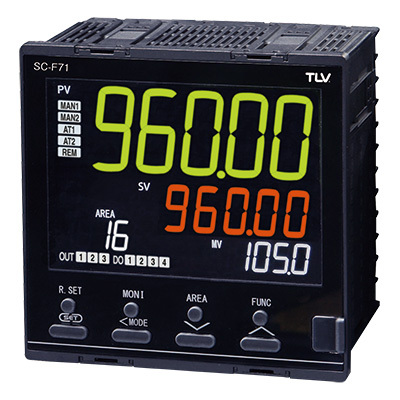 Multi-purpose Controllers SC-F71 employ TLV proprietary algorithms for MC series high precision control (active controller and actuator). Rated voltage free between 100 and 240V AC. - For multi-purpose control valves, etc: Multi-purpose controller, Programmable multi-purpose controller, Digital indicator controller.